Age of Conan tries to separate itself from other MMO experiences by marketing itself as a more mature gaming experience. 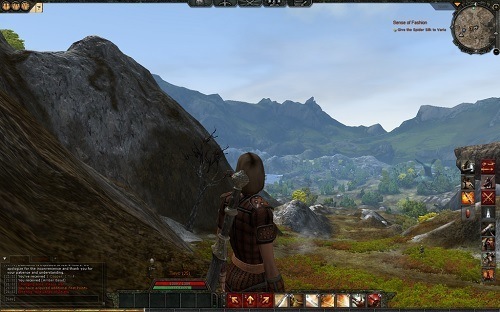 Like many other MMORPGs before it the game started out as a pay to play game and in recent years has swapped to a free to play game. The game is loosely based in the Conan universe and if you are familiar with the Conan franchise you will get an extra kick out of the story but this is definitely not a requirement to enjoy the experience. The graphics in Age of Conan is the first thing that will attract your attention after going through the very extensive character customisation screen. The environments (especially the water) looks very impressive and is paired with voice acting to deliver a level of polish more like a single player RPG than a MMORPG. The trade-off for these impressive features though is the huge download size and fairly steep system requirements compared to other games. Age of Conan has 4 different races available along with 4 core archetypes (rogue, priest, mage and soldier) which are then broken down into 3 further class options (some of which have race restrictions). With all of these options it’s not hard to find a character that resonates with your preferred style of play. One of the best features of Age of Conan is the real time combat system which focuses on creating combo attacks. 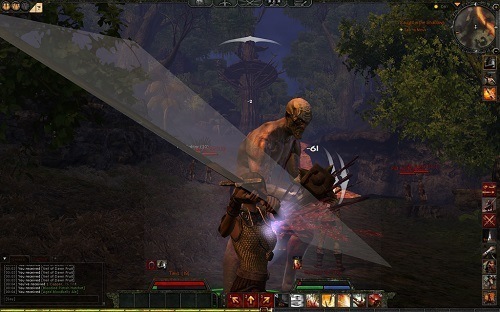 Instead of relying heavily on equipped items players that take the time to master the combat system can overcome enemies well above their level of equipment. This system also keeps the combat fresh throughout your playtime as you feel constantly engaged. Age of Conan also has plenty of opportunities to interact with other players through the social and PvP systems. Players can also band together to create their own game cities complete with walls, catapults and towers to protect their taverns and merchants from raiding parties. Now that Age of Conan is a free to play experience it is hard to pass up a game that offers a design level equivalent to that of a single player role playing game. Mature MMO based in the Conan universe. Originally paid to play and now free to play. Good variety of class options. Impressive visuals and voice acting.